“I am a social worker. I work for Dalits. The BJP is doing nothing for Dalit reservation,” the saffron-robed politician from Bahraich said on the sidelines of an event to mark the death anniversary of B.R. Amedkar here. 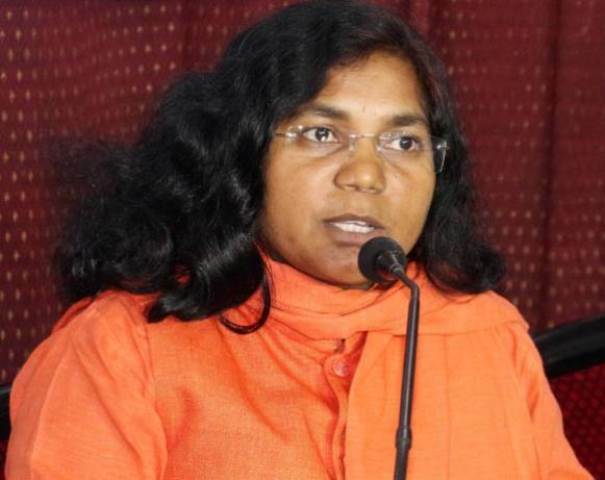 Last week, she also took exception to Chief Minister Yogi Adityanath’s remarks that Lord Hanuman was a Dalit and asked if that was the case, why Dalits were not made priests in all Hanuman temples. Reservation for Dalits and building Buddhist temple or Masjid at where people believe that Lord Rama was born there, will bring peace in India.